Challenge: Alliance Productions used manual processes and excel spreadsheets for scheduling, tracking, traveling, and paying their crew making it difficult to scale their operations as their business grew. 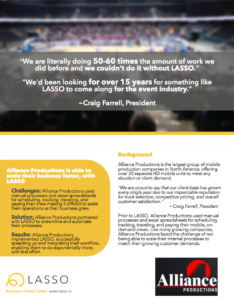 Solution: Alliance Productions partnered with LASSO to streamline and automate their processes. 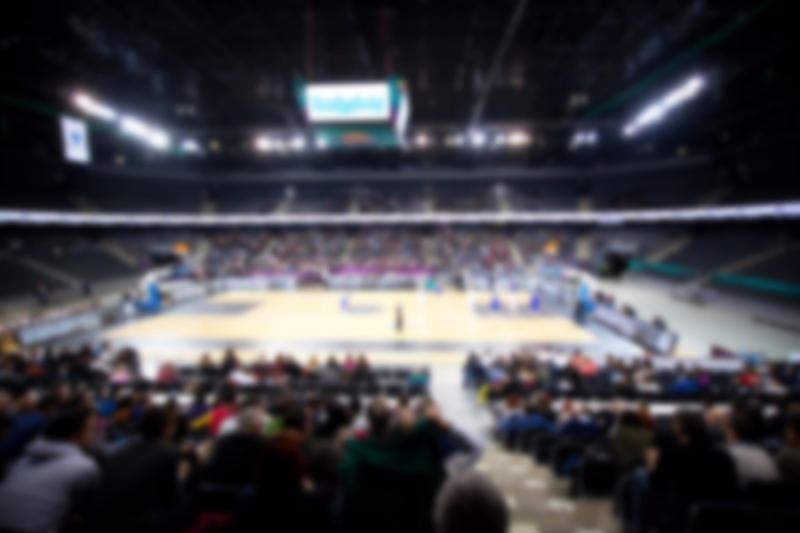 Results: Alliance Productions implemented LASSO, successfully speeding up and integrating their workflow, enabling them to do exponentially more, with less effort.